Richer Sound Quality: The two-way patented loudspeaker arrangement – which can also be extended to a three-way coaxial setup – provides smooth transition of sound throughout the entire effective frequency range. Better Sound Performance: Compared to ordinary coaxial loudspeakers, speakers using the Magnexial technology covered by this portfolio deliver clearly higher sound pressure. Higher Sensitivity: Magnexial technology provides high-performance, wide-frequency bandwidth and also high sensitivity. Reduced Material: Because it reduces the size of the speaker configuration, it also reduces raw material costs! The magic behind Magnexial technology is perpendicular magnetic polarization and the arrangement of the speaker’s components. 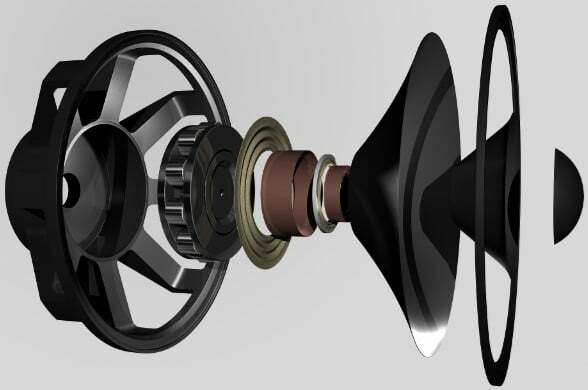 In current-generation coaxial loudspeakers, the arrangement of the magnets, ferrite cores and voice coils determine the strength of the magnetic field in the air gaps where voice coils move, a key factor that determines the characteristics of the loudspeaker. Magnexial technology arranges the inner-ring and outer-ring magnets perpendicular so there is north-and-south-pole magnetic polarization. The result of this critical design change is that the magnetic field within the air gaps – this is where voice coils move – is much stronger, producing higher performance and better sound quality. Additionally, the Magnexial placement of magnets can be used to reduce the size of the speaker, reducing raw material costs. 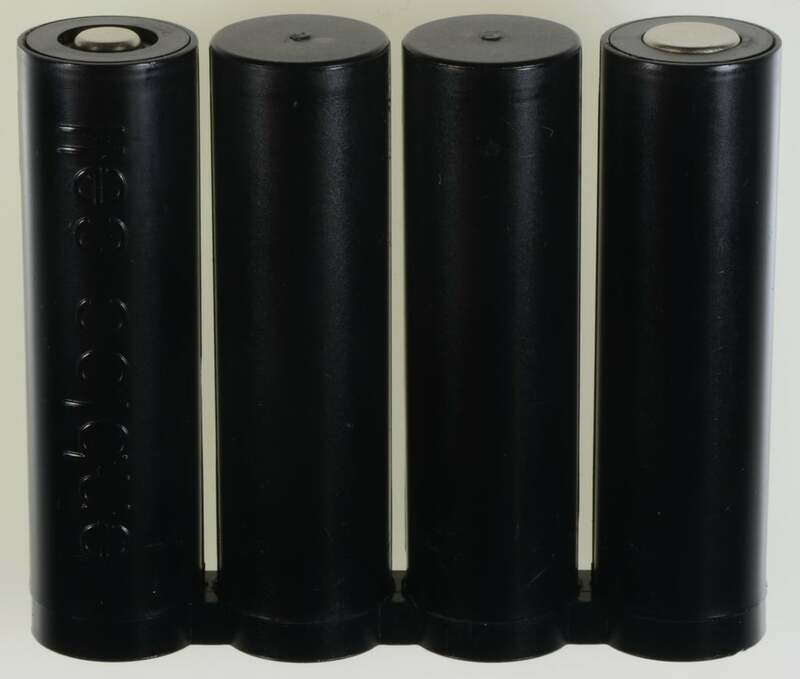 This portfolio would be a critical acquisition for any global supplier of sound equipment, giving the acquirer of this portfolio the next generation of loudspeakers with patent protection on three continents! Remember when you had both a cell phone AND a camera? The two technologies have merged. Today, smart phones take both still images and videos. You can also use them to surf the web, link you to friends and family, keep your appointments, provide driving directions, and serve as your ticket when you go to the movies. Oh, and they also send and receive phone calls! Merging several devices into one smarter device is what technology is all about today, and that is what the integrated headset covered by this patent does. 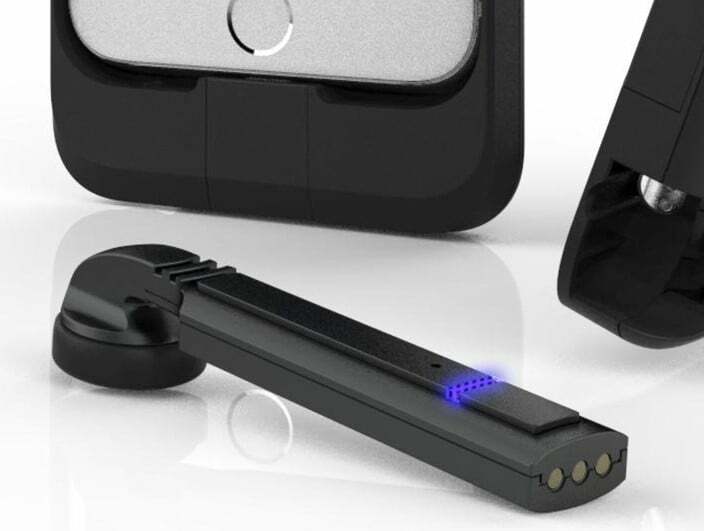 It eliminates the need for a separate charger for your headset, saving you time, space, money and aggravation. This patent creates a headset that charges as the device to which it is attached is also charging. That saves time. It eliminates the need for two chargers – one for the device and a second for the headset – and that saves money. The headset can easily be stored with the device. That saves space. And since the headset is small enough that it can be stored with the device, the likelihood that it will get lost is greatly reduced. That can save a ton of aggravation! The technology covers both mono and stereo sound delivery, and the headset connects to virtually any device. You can use the same headset to listen to your iPod, smartphone, PDA, PC, desktop, car radio, home entertainment system, you name it. 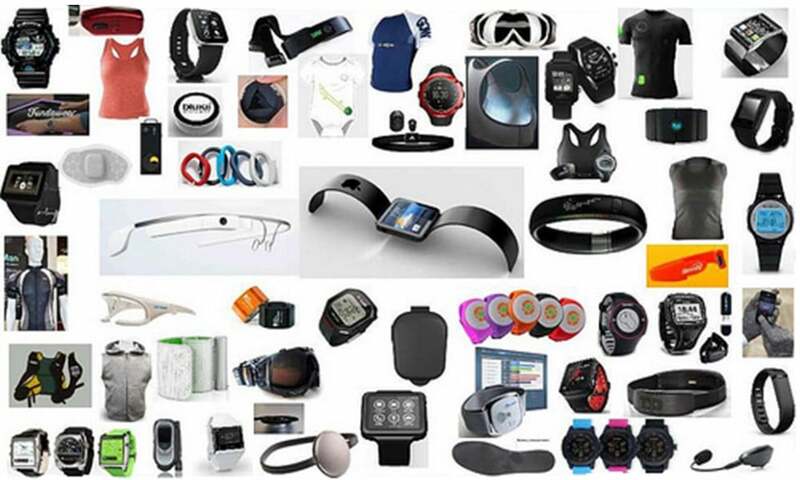 It also connects to the smart and sport watches coming onto the market, and it will connect to whatever technology comes next! U.S. Patent No. 9,467,763 for an "Integrated Wireless Headset for Electronic Devices" would be a critical acquisition for any company in the audio or consumer electronics sector that is ready to create – and own with patent protection – a totally new market segment! We spot airplanes in the sky every day. Many people wonder if the aircraft is military, commercial or personal, as well as where it is going. 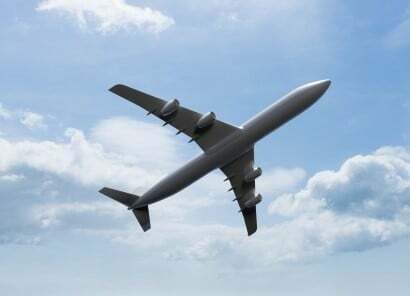 This patent covers technology that creates a device that airplane aficionados can use to answer those and other questions about an aircraft they spot in the sky and that piques their curiosity. The system created by this patent creates a communication device that determines the estimated location of the aircraft, a flight database that includes data about a specified aircraft based on a provided location, and a network that enables communication between the handheld device and the flight database. The communication device provides the estimated location of the sighted aircraft to the flight database, and the flight database provides information on the sighted aircraft back to the communication device – similarly to how navigation devices communicate road and traffic data back and forth between the user device and the GPS database. U.S. Patent No. 8,599,066 for a "System, method, and apparatus for obtaining information of a visually acquired aircraft in flight" would be a significant acquisition for any consumer electronics or navigation device manufacturer that is prepared to create and own a new product segment – an aircraft information device for airplane junkies! Since Thomas Edison invented sound recording over 100 years ago, there has been an ongoing challenge: Recording JUST the music and NOT any of the background noise. This patent addresses that challenge by using a laser beam and a photodetector that converts the detected light into electrical signals. The laser beam is deflected off the strings of the guitar, violin or other stringed instrument, and the photodetector sends electric signals that provide sound to an amplifier! No microphone is used, so there is NO background noise. Also NO echos, NO interference, NO air conditioning fan, NO distortion. Just the music being generated by the strings of the instrument is picked-up and recorded! U.S. Patent No. 8,431,814 for a "Laser pick-up for a stringed musical instrument" covers the most significant advancement in music technology since multitrack recording! The company that acquires this patent will be able to offer next-generation recording of guitar, violin and other stringed instruments that will be far superior to any microphone-generated recordings! The image a person sees on a large-screen television or computer monitor is best if that person is sitting directly in front of the screen. Even the newer, curved screens create a distorted image for those who are not sitting directly in front of the screen. Being able to mount a television screen – especially HD TV – so that everyone in the room has an optimal view is either very difficult or just not an option. With 3D and 4D screens, the viewer must be directly in front of the screen to enjoy the dynamic picture quality. Until now, the only option was to mount the TV screen on a bracket that would put it at the optimal angle for viewing. The technology covered by this patent addresses that issue, using software to adjust the angle of the image on the screen to where the viewer or viewers are sitting. And the adjustment is made totally through software, so no hardware modifications need to be made! U.S. Patent No. 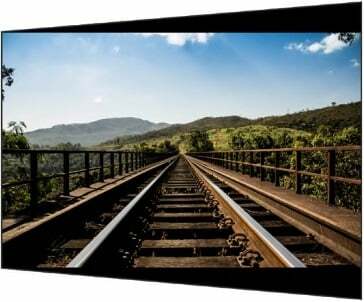 8,854,553 for "Video Display Correction to Provide On-Axis View at an Off-Axis Angle" will enable its acquirer to leapfrog the technology of all of its competitors and offer a next-generation viewing experience! This patent would be a critical IP asset for any television OEM. 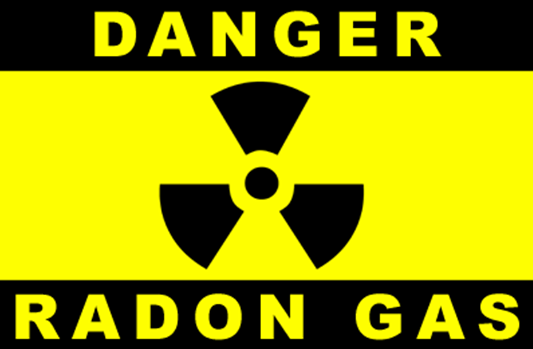 Radon is a colorless, ordorless and deadly gas that occurs naturally throughout the U.S., the result of the normal breakdown of Uranium. It is the second leading cause of lung cancer. There are two ways to get rid of Radon: Exhaust it to the outside of the building, or filter it out of the air. Any home or business with air conditioning has a closed system. The same air is circulated and re-circulated continually throughout the building. The invention covered by this patent prescribes a solution that uses an adsorbent, silver-exchanged zeolite, that when put in contact with Radon, extracts it from the air. U.S. Patent No. 7,381,244 for an "Apparatus and Process for Air Cleaning" – with 21 Claims and 13 Forward Citations – is a particularly robust property. It would be an excellent acquisition for any business that manufactures air purification and filtering systems, as well as for any HVAC equipment manufacturer that wants to add Radon removal as a competitive advantage for its products. This portfolio answers the questions that children ask on long trips by creating an electronic children’s game that uses navigation technology to track the trip for the children as it progresses: How far they have gone, how far they have to go, the route they have taken, the route they will take, and how long it will take to get there. It keeps the kids involved, and teaches them some geography and practical math in the process! One patent is for an electronic game, while the second covers an app version of the game that can be played on a smartphone or other device. U.S. Patent Nos. 8,160,813 and 8,860,588 for a "Travel Toy that Illustrates Time on a Trip" also come with a Trademark Application for "Are We There Yet?" for an electronic game. The company that acquires this portfolio will be able to offer an entirely new product that creates a new product category. Are We There Yet? 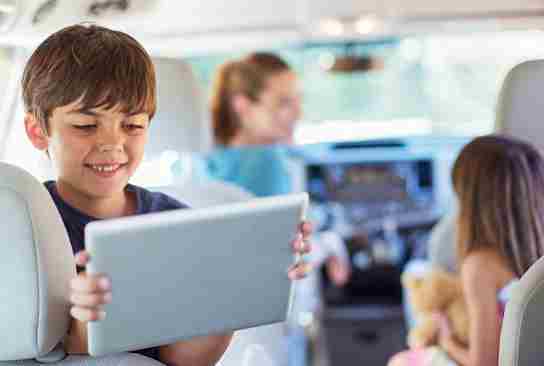 will not simply be an enormously profitable product by itself – it will also create an entire generation of customers for that company’s navigation products when the children who use and enjoy the back-seat product grow up and go shopping for a front-seat navigation product! 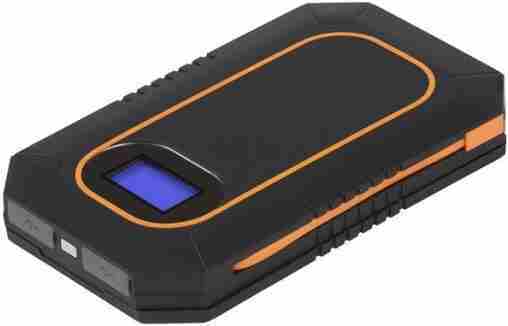 Battery pack that is economical, eco-friendly, and provides a much longer life PLUS rechargeability! The company that acquires this portfolio will have the potential to secure a sizeable share of the rechargeable lithium-ion storage battery segment! The word “decibel” is an international term for the measurement of audio volume. It translates – or almost translates – into any language. In German it is “dezibel” and in French it is “décibel.” Available for acquisition are the international rights to the “Decibel” trademark. The word is trademarked in Taiwan, China and Japan, as well as Finland. It also has a European Union trademark, and it carries an International Trademark (Serial No. 831245) from WIPO (the World Intellectual Property Organization). A seller or manufacturer of audio products and equipment can acquire this instantly recognizable trademark to create an incredibly valuable international brand! Imagine being able to charge your smart phone or laptop – even your car, truck, boat, ATV or motorcycle – from anywhere! At the beach, in the woods, camping or fishing, or at a construction site or other remote location that does not have conventional AC power. That problem is solved by the invention covered by this portfolio! The charging device covered by this portfolio includes a concentrator configured to collect and direct solar radiation towards a solar panel. The concentrator enhances the efficiency of the solar panels to generate optimal electric current. And…the concentrator permits the use of a much smaller solar module with greater photo-efficiency by reducing material and manufacturing costs. This portfolio includes U.S. Patent No. 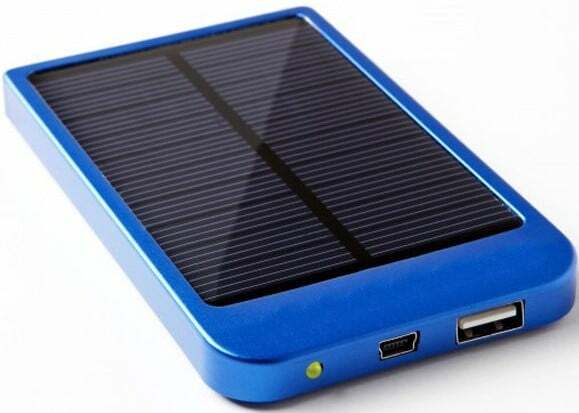 9,166,424 for a "Solar powered rechargeable device for use with an electronic device and method thereof," plus U.S. Patent Applications 14,886,551 and 15/864,130, and would be a strategic acquisition for any consumer electronics or automotive OEM, or any company serving the consumer electronics and automotive aftermarkets. U.S. Patent No. 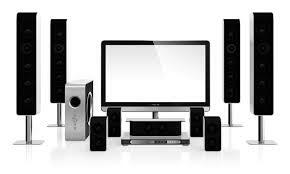 7,158,844 for a ”Configurable Surround Sound System" would be a strategic acquisition for any audio equipment, consumer electronics, computer equipment, cinema products or home entreating devices manufacturer, or for businesses in the virtual reality, augmented reality, modeling, animation, or video game software business. This portfolio would give a strategic competitive advantage to any power supply, cell/smart phone, or consumer or industrial electronic products manufacturer. This portfolio would be a key acquisition for a manufacturer of mobile phones, televisions, laptop and desktop computers, tablets, gaming consoles and eBook readers. This patent would be a key acquisition for any business currently in the fast-growing wearable electronics market, or a business seeking a foothold in that segment. This Standard Character Mark is valid in both the United States and the European Union, and is applicable to electronic devices and the next generation “connected cars.” An alliance of Audi, GM, Google, Honda, Hyundai and NVidia are developing an Android-based platform for automobiles. Along a similar track, Apple announced Apple CarPlay that enables an iPhone to take over the in-dash display of an automobile with the Siri voice addressing aspects such as navigation, calling functions, messaging and music. Both of these new technologies are ideal applications for this trademark. 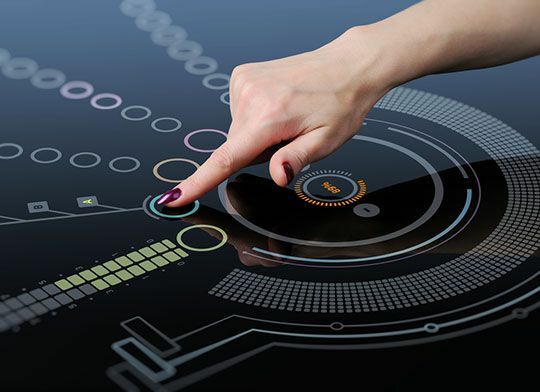 The iConnect trademark would be a significant acquisition for companies selling electronic devices or, more specifically, products and services related to automotive communications and connectivity.